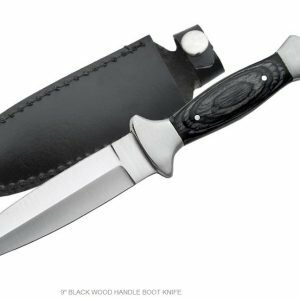 3″ Folded, 2.5″ blade made of Black 440 Stainless Steel. Handle is Gold Trim with Black Aluminum overlay and signature Elk River cut away. Perfect for the Gentleman who loves the outdoors.